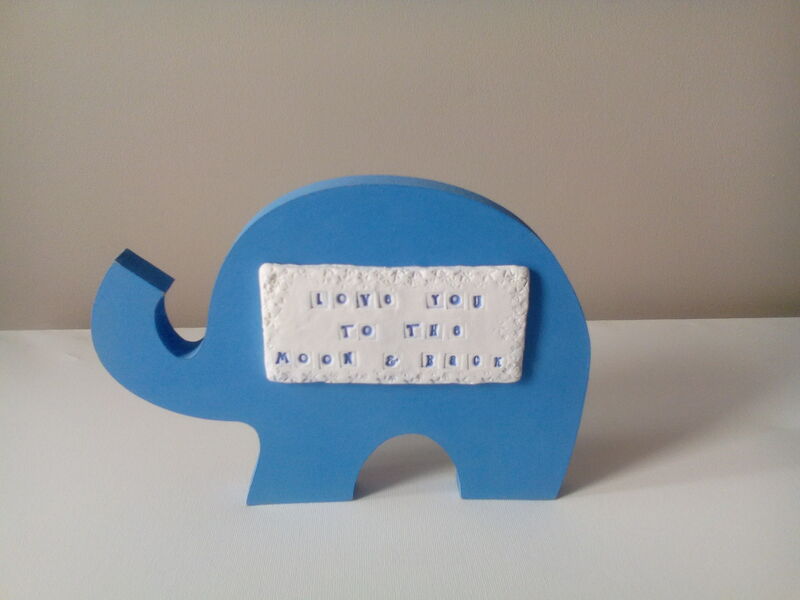 Handmade standing elephant that can be personalised with a quote or name on porcelain. 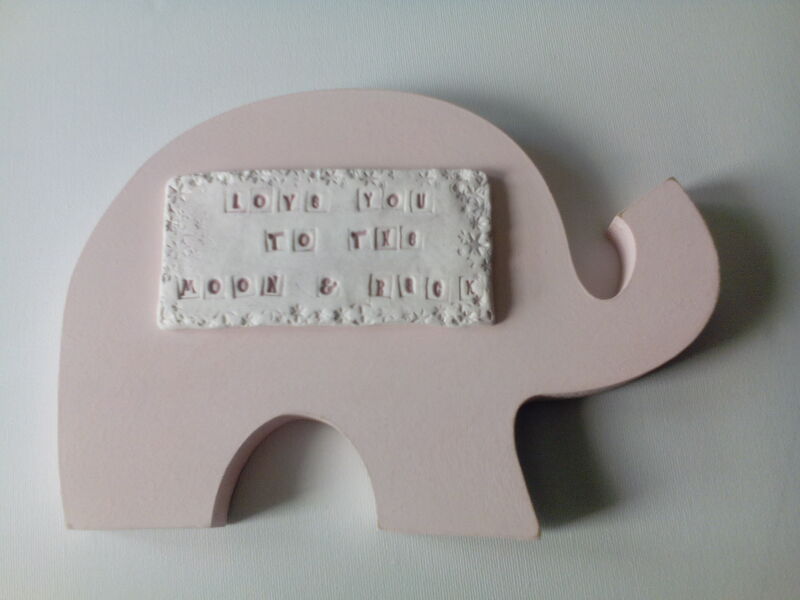 Our examples show the verse, 'love you to the moon and back'. 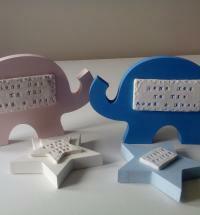 Choose your colour from pink, light or dark blue, yellow or white. This is a made to order item so please allow up 2 weeks for despatch or if your order is urgent then please contact us to see if we can accommodate. 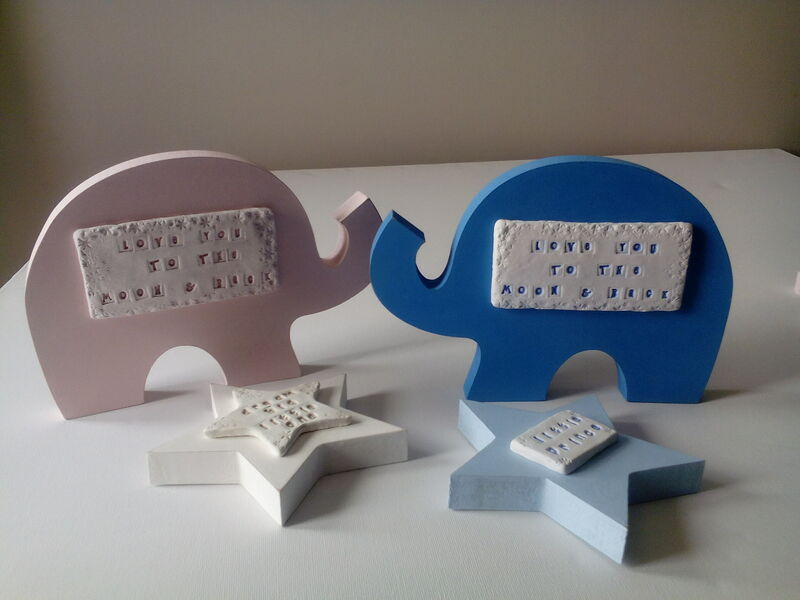 To order, tell us in the custom message box below, your colour preference and words/name, checking all spelling so we can create the correct item for you. This item is suitable for UK and international (i) delivery. If you are choosing local delivery, please leave us your contact details in the custom details box below and select the local delivery option from the drop down menu when you get to the checkout page. If you are ordering mutliple items for local delivery you only need to supply us with your contact details once.